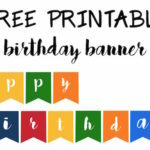 This football banner free printable is the perfect decor for your super bowl party, a kids football theme birthday party, or an end of season football team party, or even a football themed baby shower. Add this perfect football table cloth here and use silver bowls or dishes for your snacks and you’ll have adorable and cheap football party decorations. 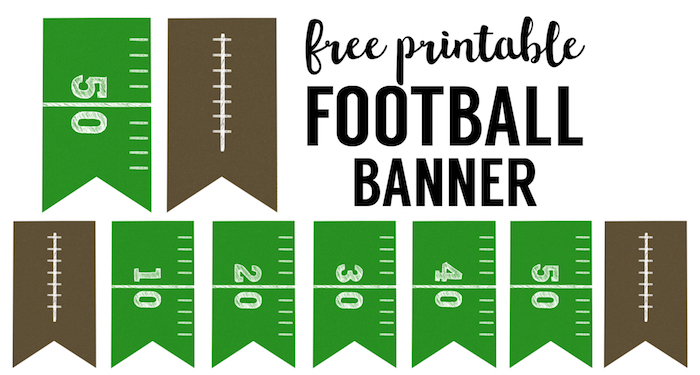 I’m toying with the idea of making some more free printable football decorations to coordinate with this DIY football banner so check back for more. 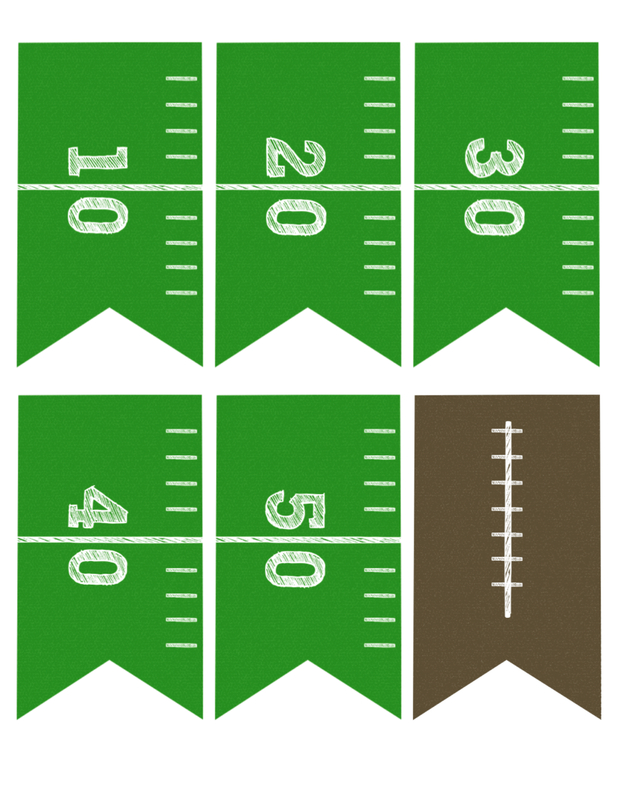 We have more football party printables here. 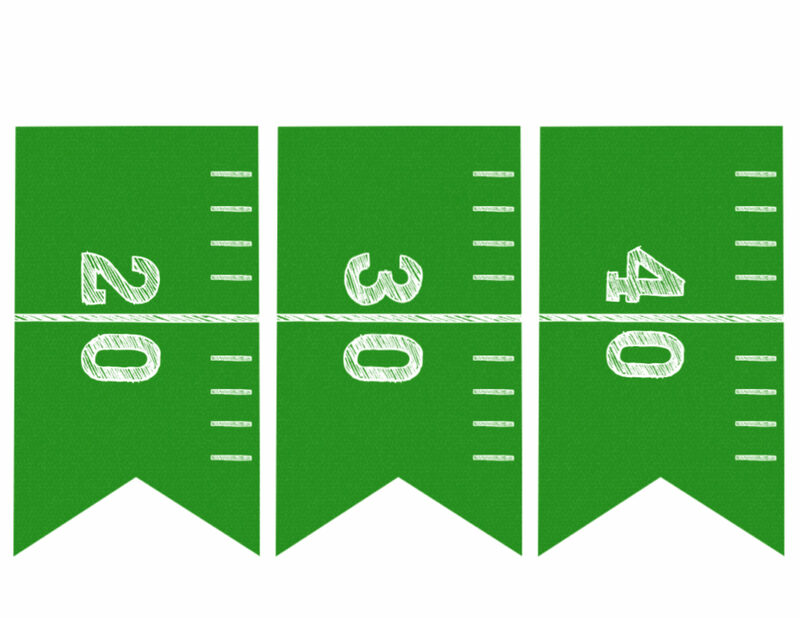 We have a smaller version of the free printable football banner that can be used as a bunting or cupcake toppers. This would be adorable hung over a football themed first birthday cake or draped in a zig zag over a picture frame. Check it out to find even more! 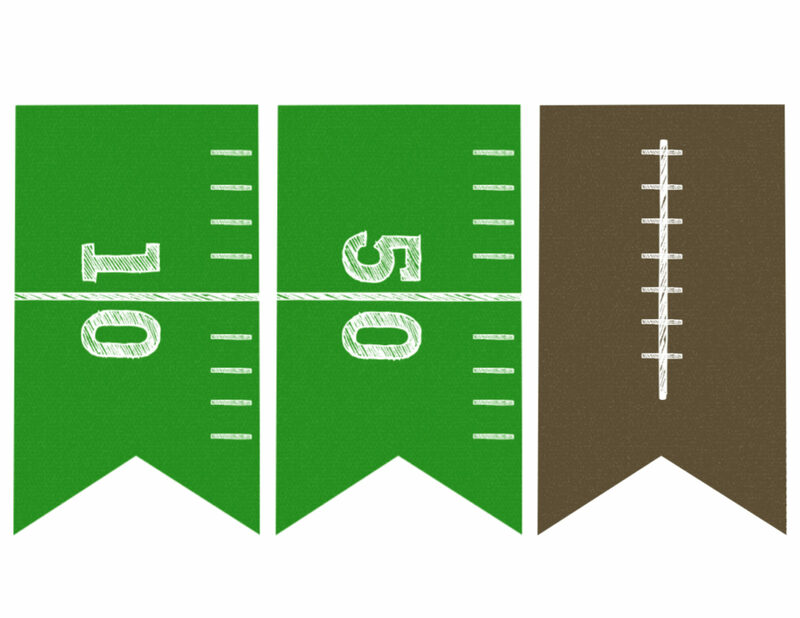 I found a handful of other football decor ideas on amazon that would be adorable at your super bowl football party. Mini clothes pins and twine are the easiest way to hang the DIY football banner. You can find those here. 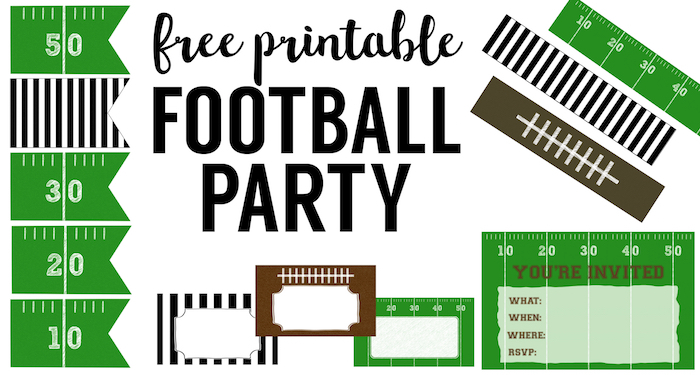 Check out the rest of our awesome football party printables here! If the football party decorations are for a team celebration then you might need a coaches gift. 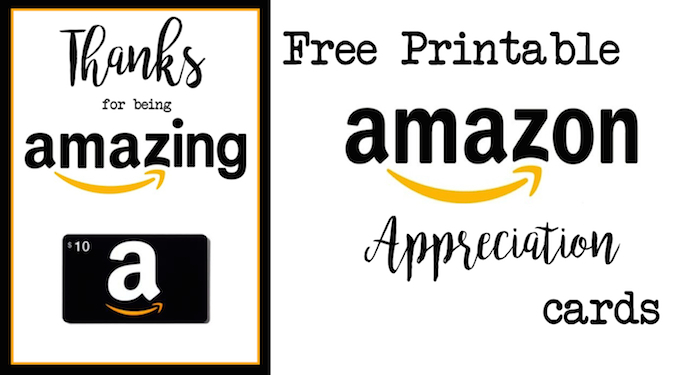 An amazon card would do the trick perfectly with this printable amazon thank you card.